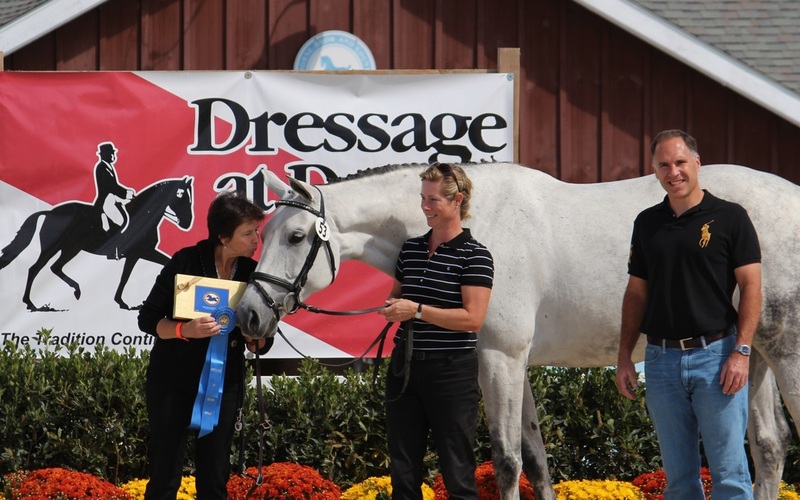 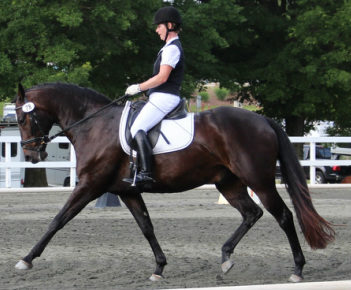 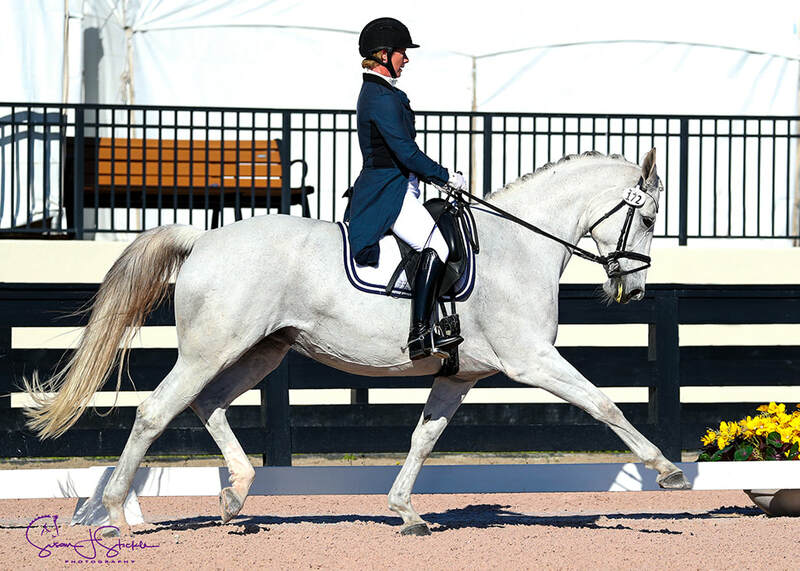 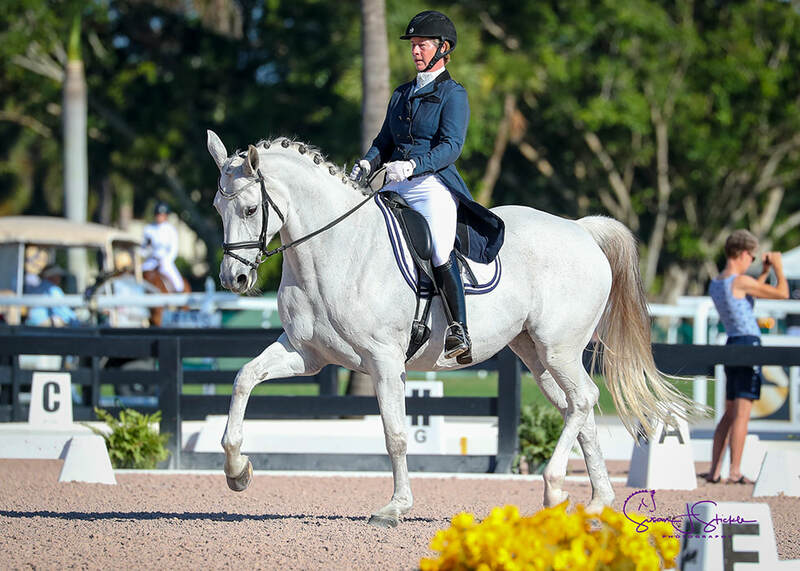 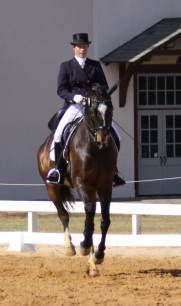 Hansi shines in his dressage debut 2017. 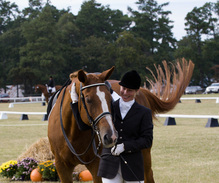 Scores as high as 79%. 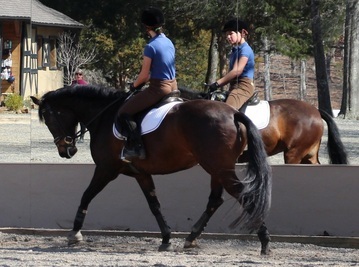 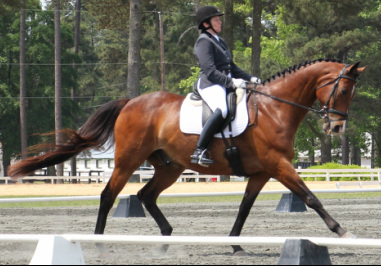 Welle (May 1999-March 2015) My Heart horse, Intermediare 2 dressage competitor, multi time champion, teacher, re-hab horse, career builder, and family member. 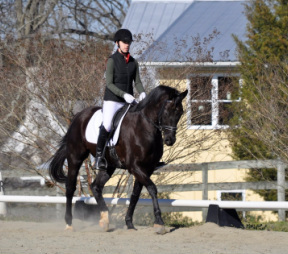 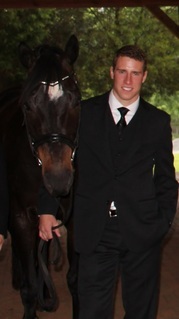 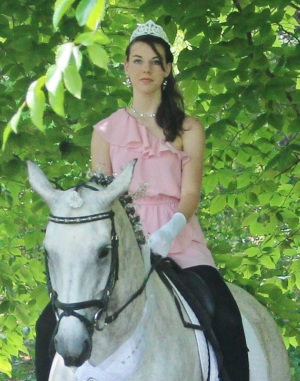 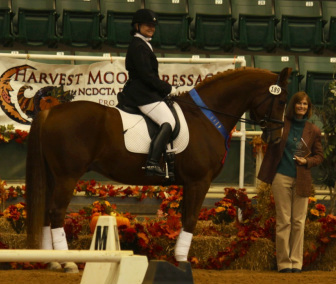 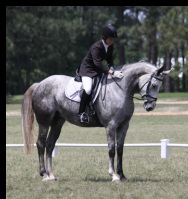 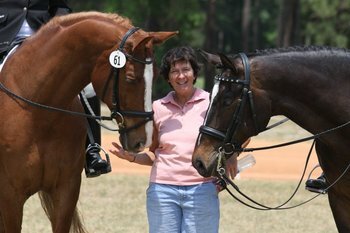 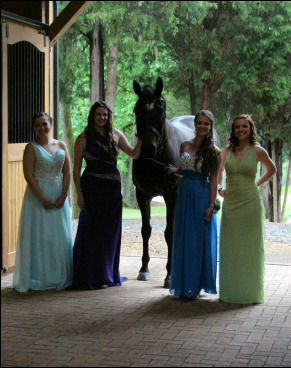 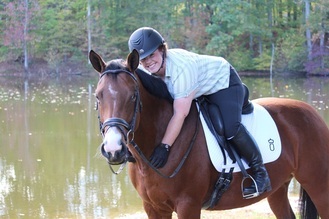 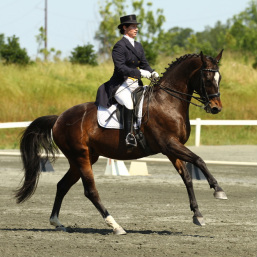 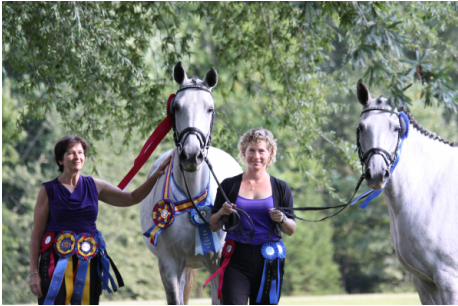 Wonder (Wonderful Pearle) won the NC Championship, 4th in Regional Championship and 4th Hanoverian in the country in '12. 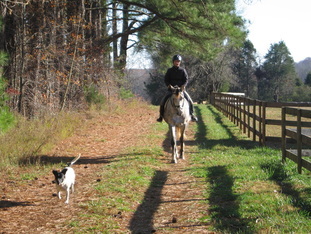 2012 First Level high score: 79% Sanibelle: owned by Susan Craft/ ridden by Jeanne K.
Noah dances with the dog, Clover on the back road. 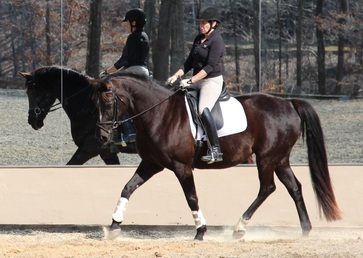 Susan rides Paxton to earn Bronze medal and score of 65% at third level. 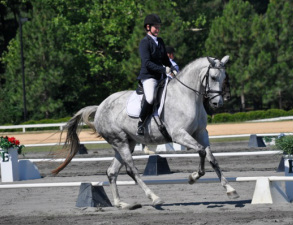 Welle wins Intermediare 1 at Raleigh, June 2011, while gently letting me ride with a broken collar bone! 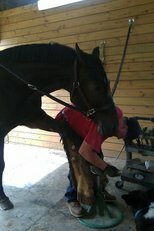 Welle enjoys getting her feet done by farrier, Rick Lankford. 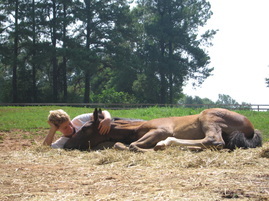 Noah cuddles Pearl. 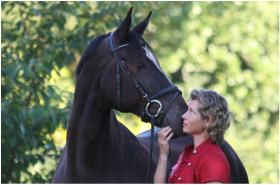 She is the sweetheart Mom of Wonder and Winnie. 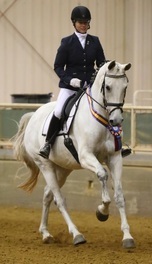 Sold 2010. 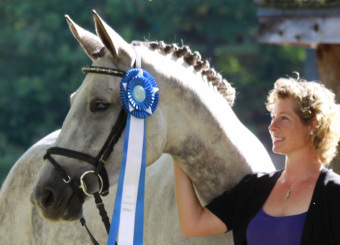 Congratulations to Jenny Gore. 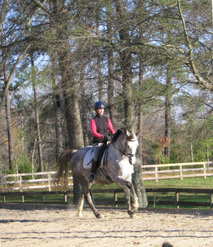 Gracelee Lawrence rides Pearl during her time as a working student.